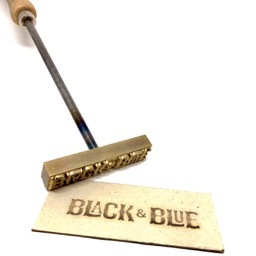 Branding stamps burn text and / or a logo in a material, usually wood. 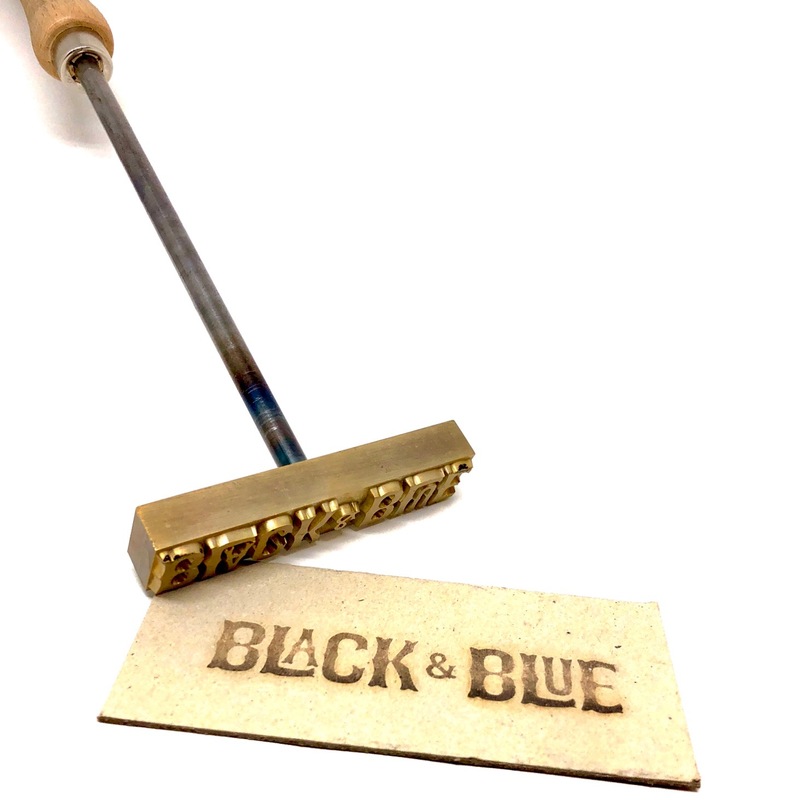 A branding stamp is manually heated with a gas burner, or with a built-in electric heater to a certain temperature. The stamp is then put on the material to be stamped, which burns the design in the material.